If the first initialization segment received flag is false, then run the append error algorithm and abort this algorithm. The bytes provided through appendBuffer() for a SourceBuffer form a logical byte stream. 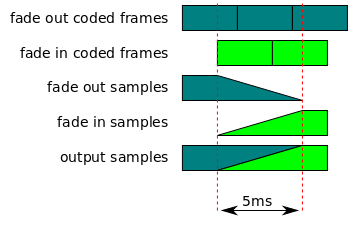 The format and semantics of these byte streams are defined in byte stream format specifications. The byte stream format registry [ MSE-REGISTRY ] provides mappings between a MIME type that may be passed to addSourceBuffer() or isTypeSupported() and the byte stream format expected by a SourceBuffer created with that MIME type. Implementations are encouraged to register mappings for byte stream formats they support to facilitate interoperability. The byte stream format registry [ MSE-REGISTRY ] is the authoritative source for these mappings. If an implementation claims to support a MIME type listed in the registry, its SourceBuffer implementation MUST conform to the byte stream format specification listed in the registry entry.